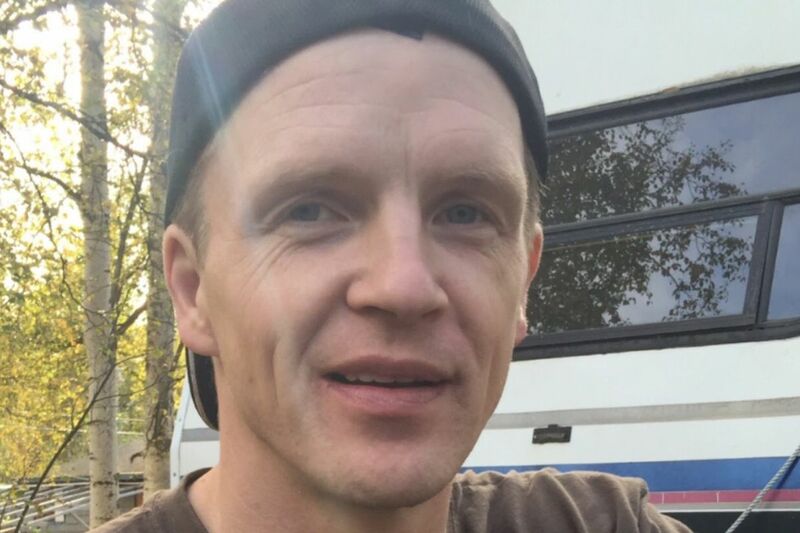 The Alaska Department of Law has determined that criminal charges should not be brought against a Seward police officer who shot and killed a man in October after the man tried to drive away in a police cruiser while handcuffed. Family members of Micah McComas, 41, say they still have questions in part because a key moment — the actual shooting — cannot be seen in a video made from the body camera of the officer, Matthew "Eddie" Armstrong. Armstrong fired five gunshots early in the morning of Oct. 1 after McComas and a passenger had been pulled over for speeding, leading to a drug investigation at the scene, according to a review by the state Office of Special Prosecutions. The state review — a letter to the Seward police chief signed by Andrew Peterson, chief assistant attorney general in the Office of Special Prosecutions — says McComas was initially handcuffed and placed in the back of a police vehicle. But he ended up in the front seat and was starting to drive off just before the shooting, the letter says. The vehicle struck the officer, knocking the body cam off him, "at this point resulting in no video and incomprehensible audio," according to the letter, dated Jan. 22. The state found that McComas used force against Amstrong when he tried to steal the cruiser and escape. "McComas ignored Officer Amstrong's commands to not move, shifted the vehicle in gear, and accelerated when Officer Armstrong was actively trying to prevent McComas from stealing the vehicle," the letter says. "McComas was actively committing multiple felony offenses and using force against Officer Armstrong in an attempt to escape from custody. …"
"Under these circumstances, it was reasonable for Officer Armstrong to believe that the use of deadly force was necessary to stop McComas. As a result, criminal charges are inappropriate," the letter concludes. Seward police and Alaska State Troopers, who led the investigation, had previously released limited details. The letter provides additional information about the encounter, including that McComas tested positive for amphetamine, methamphetamine and diazepam, originally marketed as Valium. Video, audio, photographs, diagrams, an autopsy and toxicology report, and other materials were part of the state review. According to the state review, McComas stopped the car, a Kia Sportage, in the Seward Safeway parking lot after he was pulled over. Also in the car was the vehicle's owner, Amy Campbell. McComas was driving with a suspended license, without insurance and with expired tags, the letter says. He smelled like marijuana and seemed under the influence of drugs, with fidgety hands and pupils apparently dilated, the letter says. Armstrong, the only Seward officer on duty, asked McComas to step outside and started a drug investigation, the letter says. Other Seward police officers were away on training and the closest on-duty backup officers were state trooperrs in Soldotna, the letter says. During a search of McComas' wallet, Armstrong found "multiple bindles of what appear to be methamphetamine," the letter says. But about three minutes after McComas was cuffed — hands behind his back — and placed in the back seat of the patrol vehicle, the police cruiser's horn blares, according to the letter. Armstrong turned and saw McComas "going feet first through the partition between the front and back seats and that his feet were hitting the horn," the letter says. Armstrong rushed to the driver's side of his cruiser, gun drawn, and yelled, "Get out of the car!" the letter says. Armstrong opened the door, and the body cam showed McComas sitting in the driver's seat. His cuffed hands were "now in front of him" and reaching for the gear shifter, the letter says. The letter does not explain how McComas could have gotten his bound hands in front of his body. Armstrong ordered McComas not to move, but McComas shifted the vehicle into gear, "hits the gas and takes off," Armstrong said, according to the report. The moving police cruiser struck Armstong and knocked off the body cam, according to the report. The letter says Armstrong believed he was inside the cruiser door when McComas started to drive away and that he fired after the cruiser knocked him backwards, the report said. A footnote added Armstrong initially thought he'd fired one shot before being struck, but the 30-minute video suggests he fired after being struck. Armstrong was cut above his left ear and knocked onto his back. He yelled "Don't move" and called in "shots fired" to a dispatcher before diving through the cruiser's passenger door and putting it in park, the report said. Armstrong tried giving first aid to McComas. The man died at the hospital, the letter says. Krista Smith, McComas' sister, said in a family statement Thursday it's "disconcerting" that the actual shooting isn't apparent in the video. "We are uncomfortable with the fact that the bodycam supposedly fell off of the officer, leaving us to rely solely on the officer's testimony," Smith said in a statement. "In short, we have some serious questions …"
Krista and her husband, Scott Smith, plan to travel to Alaska early next week to meet with Peterson, the state attorney, and view more evidence, Smith said. The family said it doesn't condone McComas' actions. But their statement said based "on the edited clip we have seen, we still do not understand how this scenario was even possible if Micah had been properly secured in the back of the patrol car." Noting they had only seen parts of the video, they said they also don't understand why a handcuffed person needed to be shot several times. A troopers investigation of the scene found Armstrong's body cam and hat on the ground, his glasses in pieces, and five shell casings. Diazepam pills were found in the cruiser's front and back seats, and marijuana, dime baggies and a digital scaler were inside the Kia, the report said. The autopsy report determined a gunshot to the body killed McComas. Gunshots to extremities were contributing factors.